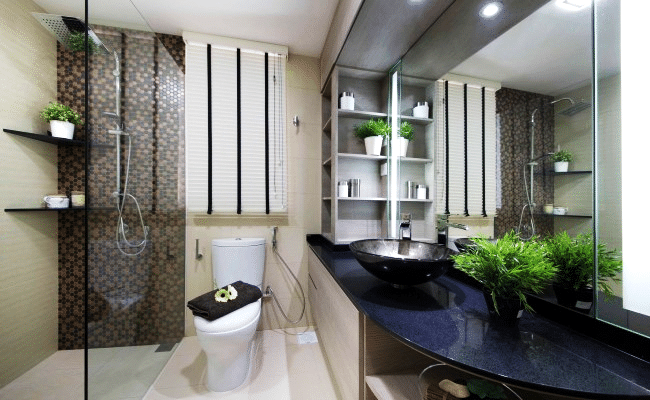 Bathrooms are a high priority area in any home. They provide a break from the hustles of everyday life and offer a comforting place to get all fresh and ready for another day. This makes their architecture as crucial as any other section of the interior if not more. 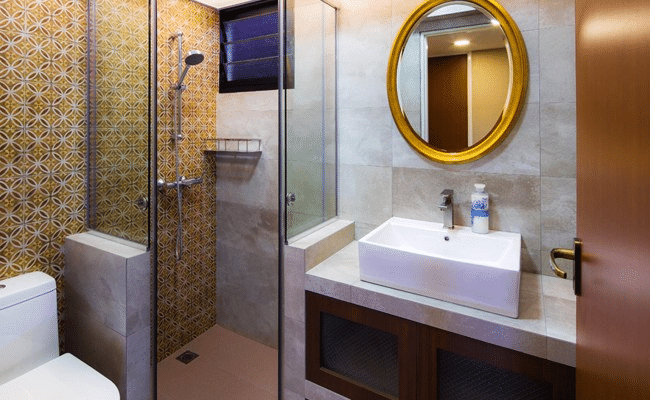 Cleanliness and space are obviously a desired quality for any bathroom as it helps in presenting a cheerful and free space. And the bathrooms below drive this point home with their substantial features. This bathroom is in many ways about peaceful colors that enliven the bathing area with their presence. Style is a top priority, which can be seen in form of the gorgeous basin that stands at the center of attraction. Lively green is a huge plus too as it makes the soft colors of the bathroom even more prominent making the space around soothing to the eyes. A bathroom sectioned for separate usage, it springs a charm with its floral decorations and warm yellow touch. The smooth surfaces are contrasted with intriguing patterns producing a welcoming burst of energy in the bathing area that makes clever use of yellow color. 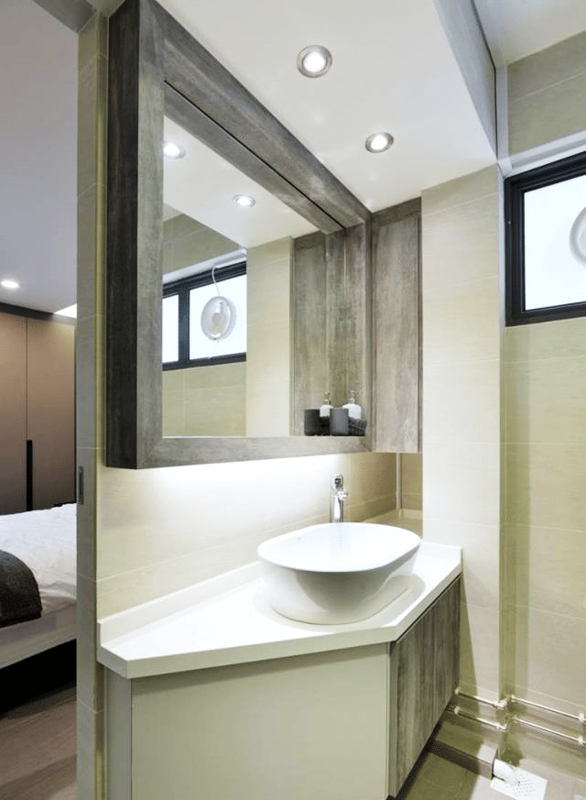 Made out of serene concrete, this bathroom is the ideal place to start a new morning. 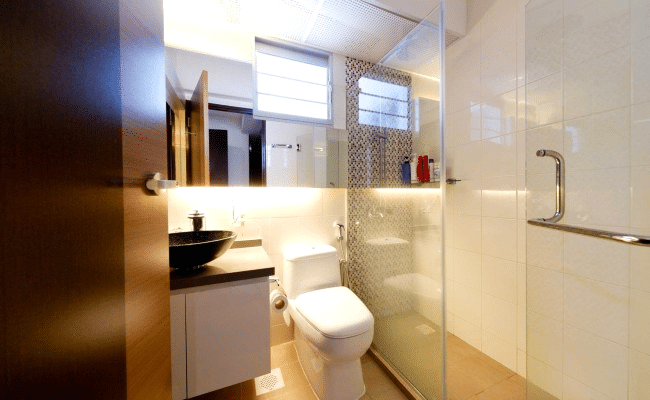 A flexible and versatile bathroom equipped with special features awaits you at this apartment. 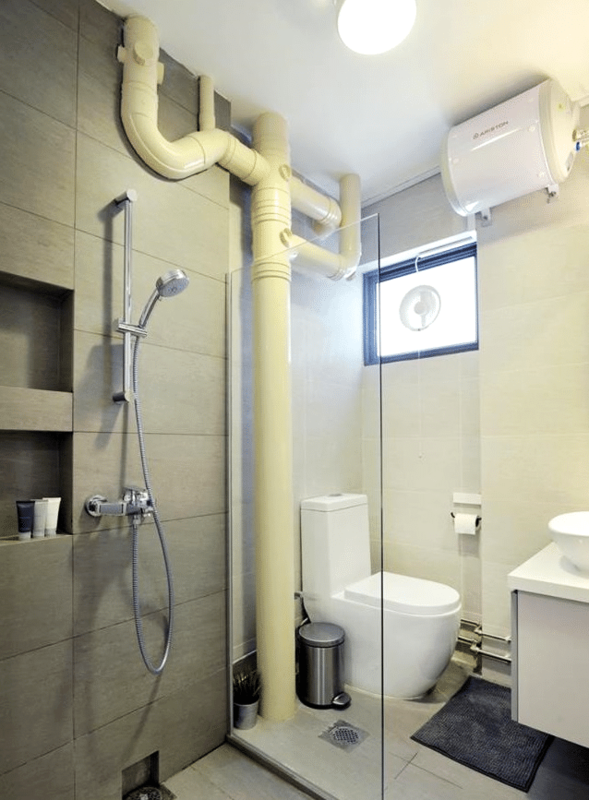 Airy and comforting, this bathroom also amazes with its casual design in form of those exposed pipes. This has led to a confident place that never shies away from trying something new and it is clearly visible in the use of green which gives this place a natural tone. The bathroom here follows the theme of the apartment resulting in a rich Scandinavian glow that radiates across the bathroom. Textures are created with utmost care to evoke a fine mood, while all the available amenities make it a really resourceful bathroom. With its minimal features and excellent design elements, this bathroom makes itself highly desirable. Gentle colors are featuring in this bathroom that puts a warm and inviting tone for this area making it special for you. Sections are planned so that the area can be accessed by more than one person without any hustle and the techniques used to achieve it are heart-warming. A thick glass wall makes for an unusual feature, but it is quite a treat and an integral component of this bathing space.